The New York Times article, “Drugs Urged for Swine Flu in Pregnancy” is a good reminder that though you may be hearing less about the swine flu, it is certainly not something to forget. Pregnant women who get swine flu are at such high risk of complications like pneumonia, dehydration and premature labor that they should be treated at once with the antiviral drug Tamiflu — even though it is not normally recommended in pregnancy, the CDC said Tuesday. Tamiflu is not normally recommended for use by pregnant women because the effects on the unborn child are unknown, according to its maker, Roche. American doctors are often reluctant to prescribe flu drugs for pregnant women unless they develop severe symptoms like pneumonia. Pregnant women are often reluctant to take medication. A pregnant woman is at higher risk from flu because hormonal changes depress the immune system to protect the fetus. Details about the death of the pregnant woman in Texas emerged Friday in the disease centers’ weekly morbidity and mortality report. Dr. Jamieson said the woman had mild asthma and psoriasis, but was relatively healthy. The woman has been widely identified as Judy Trunnell, 33. Now that’s certainly an exciting phrase. I find it helpful to remind myself that “pandemic” refers mostly to the extent of the spread of the virus, and not necessarily the severity. “This virus really does have full pandemic potential. It is likely to spread around the world in the next six to nine months and when it does so it will affect about one-third of the world’s population. 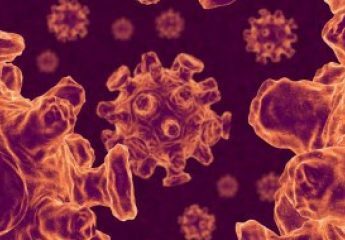 Underlying conditions like asthma, diabetes, heart disease or tuberculosis appear to put swine flu victims at greater risk of hospitalization or death, doctors from the WHO and the CDC said. Some of the serious cases involve healthy young people, and the reasons for that are still unexplained. Many of the patients went into rapid decline and died of viral pneumonia, not bacterial pneumonia, said Dr. Sylvie Briand, a W.H.O. flu expert. Viral pneumonia may be a result of the “cytokine storm,” in which the body’s own immune reaction to a new virus floods the lungs with fluid. It can progress faster and be harder to treat than bacterial pneumonia. The cytokine storm was thought to be one of the factors that contributed to the deadliness of the 1918 pandemic. A cytokine storm describes an immune system that has over-reacted and is damaging the body, causing failure of multiple organ systems. This would explain why an unusually large number of young people died during the 1918 flu; they had the healthiest immune systems. What happens if the current strain of swine flu (H1N1) bumps into its friend, the bird flu (H5N1) and they mingle together to create a new virus? “The current swine flu strain…has sickened more than 2,300 people in 24 countries. While people can catch bird flu from birds, the bird flu…does not easily jump from person to person. It has killed at least 258 people worldwide since it began to ravage poultry stocks in Asia in late 2003. The WHO reported two new human cases of bird flu on Wednesday. One patient is recovering in Egypt, while another died in Vietnam — a reminder that the H5N1 virus is far from gone. Experts have long feared that bird flu could mutate into a form that spreads easily among people. An infectious disease specialist said while flu experts are discussing the scenario, he has yet to see specific evidence causing him to think it will happen. So. To recap: Nobody knows what’s going to happen. There will another deadly pandemic at some point (everyone keeps saying “we are due for one”), because that’s just the way these things work. But we don’t know where or when or how or what animal! Also, I think there needs to be more research on potential reassortment of the swine, bird, and zombie flu. A “Just in Case” Vaccine? Government agencies will need to decide soon weather or not a vaccine for the H1N1 virus will be needed this coming fall. If the virus fades, millions of dollars and resources would be wasted. Obviously, on the other hand, if the virus comes back in the fall stronger and deadlier, protection from it wouldn’t be available. A related question is weather the H1N1 virus even warrants its own vaccine. “Within days reports emerged that the vaccine appeared to increase the risk for Guillain-Barre syndrome, a rare neurological condition that causes temporary paralysis but can be fatal. Waiting in long lines at schools and clinics, more than 40 million Americans — almost 25% of the population — received the swine flu vaccine before the program was halted…after 10 weeks. On top of all that, the pandemic never even materialized!